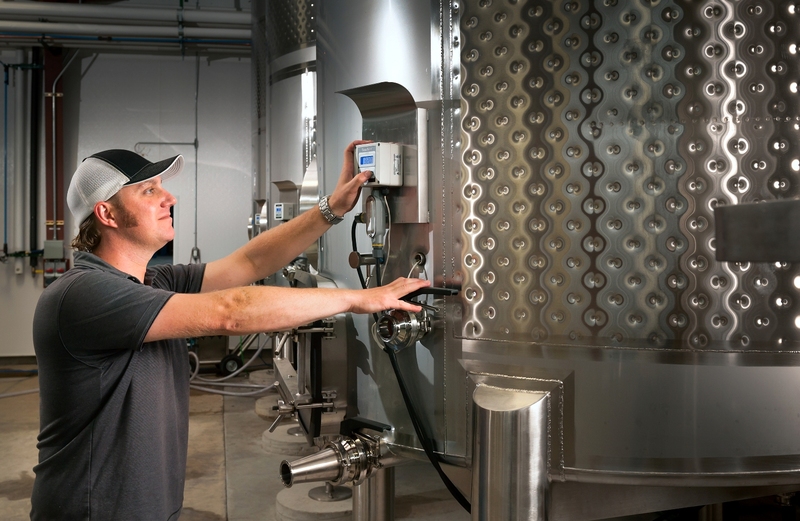 Chris Graves is the first winemaker at Naumes Crush and Fermentation, where he oversees all winemaking, winery operations, client relations and support services. Born and raised in California’s vine-covered Sierra Foothills, Graves developed an early fascination with winemaking. By age 16, he knew it would be his career. Graves is a 2004 graduate of the UC Davis Viticulture & Enology program. In college, he worked at a high-end wine store, gaining valuable retail experience. He began his career at Wente Vineyards in Livermore, Calif., serving first as an enologist then as assistant winemaker. Soon after, Graves became winemaker for Wente’s “Cal-Ital” brand, Tamás Estates Winery, where he took complete charge of the wines and began blending and designing new styles. Also, Graves was involved at every step in the marketing process, helping build a successful brand. Graves left Wente Vineyards in 2007 to start his own boutique brand, Ruby Hill Winery. Under his leadership as head winemaker, the company saw double-digit growth for years, while cultivating an extremely successful wine club. This spurred Graves and his partners to launch a second brand in 2013, Rubino Estates Winery, also focused on Cal-Ital style wines. Lured by the beauty and rapid growth of the Southern Oregon wine industry, Graves and his family relocated to Jacksonville in 2014. He worked as a consulting winemaker before joining Naumes Crush in 2015. Graves has experience with many grape varietals from a wide range of appellations. He specializes in high-tech, low-impact processing that produces ideal wine balance. Among his many awards are a Gold Medal and Best of Class for the 2003 Tamás Estates Barbera at the San Francisco International Wine Competition and a Best of Show for 2008 Intesa (Red Blend) Reserve, Best of Show for 2009 Petite Sirah Reserve and Best of Class for 2012 Cabernet Sauvignon Reserve at the Livermore Valley UNCORKED wine competitions.